Online Marketing for businesses with big ambitions: How important will semantic search be in 2014? 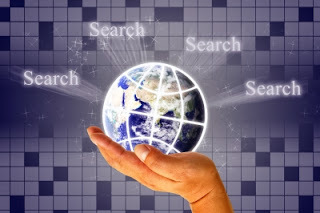 How important will semantic search be in 2014? In the last quarter of 2013, Google introduced its new algorithm, Hummingbird, which focuses on semantic search. So what exactly is semantic search, and how important will it be during 2014? Semantics is the study of meaning. It involves looking at the relationship between words and phrases and their specific meanings. Semantic search incorporates the study and implementation of semantics in its search technology. So instead of treating each word individually, semantic search looks at the context of the query, as well as the relationship between the search terms. It also considers search location, intent, and considers variations of the words in the search phrase. The introduction of semantic search into Google's Hummingbird algorithm is an attempt to improve search accuracy by understanding searcher intent, and refining the query so that search results are more personal, more engaging, and more interactive. The shift in search technology means that now, more than ever, content is king. So web publishers and SEOs will need to focus more of their attention on the content of a page, rather than just the keywords. This doesn't mean that keywords are rendered useless however. Far from it. Keywords still matter as they help to determine the intent and location of a query. It simply means that Google can layer the SERPs according to where you live and who you are. Even the IP address of the query is considered. The importance of content is heightened by Google's use of author rank in determining its search engine results. Author rank is a ranking system that applies to content producers who use Google authorship. Essentially, the more an author writes on a specific subject, the higher their ranking, as they're considered an expert in their field. So a website with quality content, written by somebody with a high author ranking will naturally appear higher in the SERPs. The switch to Hummingbird means that conversational searches will now return a more accurate set of results for longer queries, because Google's search engine will look for sites that actually answer the query, rather than simply match the keywords. So if the user asks a simple question like, 'What is the best smartphone?' Google will focus its search on sites that specifically answer the question and have quality content. The changes may mean that website owners need to think about switching anchor text to words that are more semantic. So 'pest control – act quickly' should become ‘purchase our pest control services today’. Finally, an increasing number of people own smartphones and tablets, with those numbers set to rise dramatically over the Christmas period. As well as your website's mobile performance affecting its SEO rankings, this will also affect the importance of semantic search. Practically speaking, this is to prepare search engines for the rise of voice search, which naturally is much more conversational. Essentially, as we move into 2014, we will see popular semantic search pages, complete with quality content, high author rankings, and social media connections appearing higher in SERPs. While keywords will still matter, the importance of semantic search is set to rise.